John is the founder and owner of the Brandwerks Group, the full service brand development firm he started in 2001. John has many roles in the company, but primarily he provides strategic planning, brand development and account management services to Brandwerks’ clients. He has significant branding, marketing and sales expertise, particularly in food and beverages and is very passionate about creating unique, well-positioned brands. In corporate sales and marketing positions, he helped create, introduce and market dozens of brands for wine, beer and distilled spirits firms, including the E. & J. Gallo Winery, the Coors Brewing Company and Allied-Domecq. With Gallo, he helped launch and manage the winery’s foodservice sales division. With Brandwerks, John has helped many startup companies get off the ground and has also worked with many national brands, including Zep Commercial, Café Spice, Mulay’s Sausage and others. Working with the Colorado Department of Agriculture, he and his team were instrumental in helping the Rocky Ford Cantaloupe Association revitalize itself following the 2011 Listeria crisis. John is originally from Modesto in California’s Central Valley, where he grew up in agriculture helping his family farm walnuts and wine grapes. He has a degree in Economics from U. C. Berkeley and has attended graduate business programs at UCLA and Claremont Graduate School. 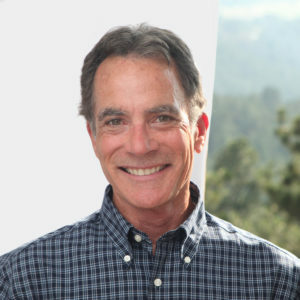 He serves on the Colorado Wine Industry Development Board Marketing Committee, and previously on the Board of Advisors for Colorado Proud, both of which are Colorado Department of Agriculture programs. He currently resides in Golden, Colorado.